8963 ft (2732 m) . 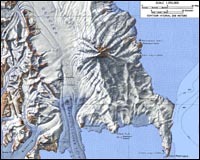 Mount Melbourne is a spectacular stratovolcanic cone located on the edge of the Ross Sea, about 80 miles (130 km) south of Mount Overlord. 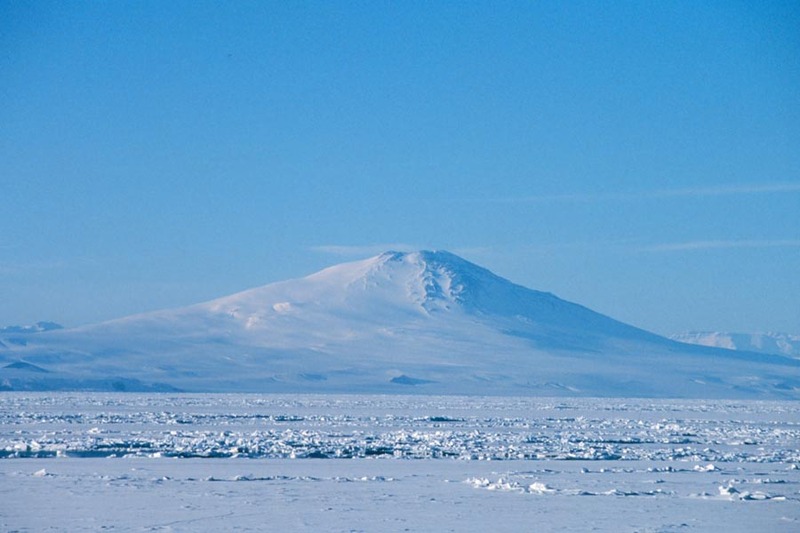 Unlike many of the other Antarctic volcanoes, Melbourne is still active with fumaroles along the summit crater and several warm, ice-free areas on the upper slopes. 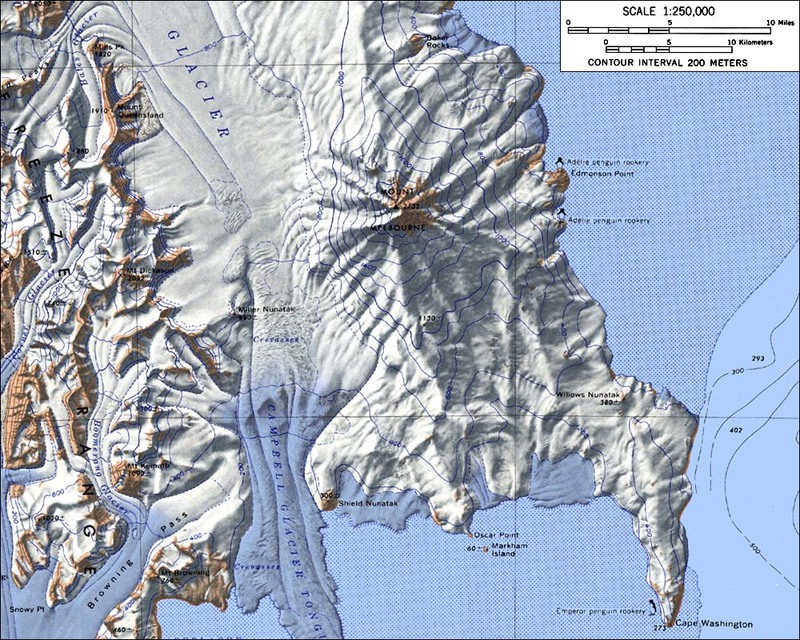 These warm areas harbor rare high-altitude Antarctic plants and microbial life, and they are designated as an Antarctic Specially Protected Area. The last eruption from Melbourne was probably within the past several hundred years.